straps, heavy padded lining and nicely done stitching. Have you ever worry about your dog from choking with the traditional dog harness? Have you ever get annoyed and tired because of your active dog? * This design can protect your dog’s belly and chest. You don’t need to worry about choking your dog or hurting the throat. Front attachment is used for no-pull use & dog training. Back attachment is applicable to outdoor activities. All dimensions are measured manually with a variation of 0.5-2inches. A small dog does not mean it will fit into small size. You have to take various measurements into consideration before you purchase this harness. Don’t buy it based on previous owned harness. 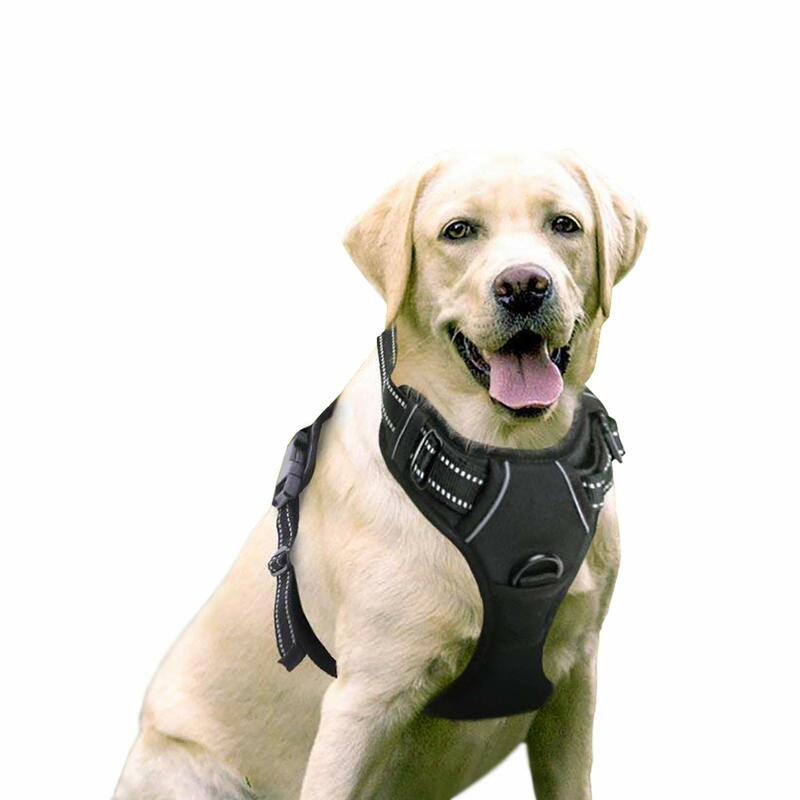 Even though this dog harness is made of high quality durable material, you should avoid your dog often biting it. you will get our high quality products and our warm services. Any question, please don’t hesitate to contact us.